Sometimes Foodie: Candyology 101 Episode 23: Trader Joe's! 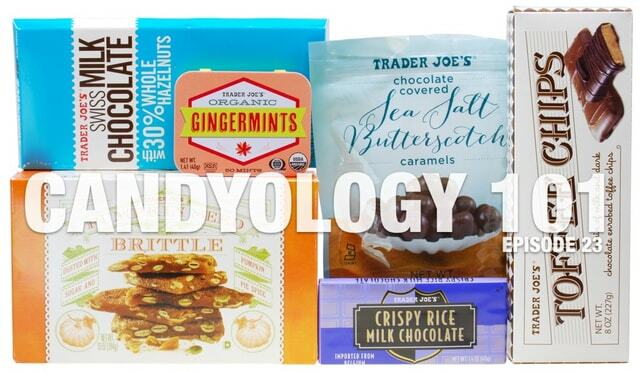 Candyology 101 Episode 23: Trader Joe's! Cybele and I wanted to talk about Trader Joe's store brand sweets, so we called in the experts! The awesome group of people behind What's Good at Trader Joe's (and our sister podcast, Let's Talk TJ's) join us on today's Candyology 101 to talk about all things sweet at Trader Joe's! We share our favorite products, biggest disappointments, and talk about what makes Trader Joe's so addicting and worthy of it's cult following. What's your favorite candy from Trader Joe's?